Patients suffering with dialysis and CKD (Chronic Kidney Disease) stage V they loss their olfaction function and it is associated with nutritional status. Malnutrition is a difficulty of chronic ESKD (End Stage Kidney Disease) so recognize the contributing factor is significant to develop potential therapies. 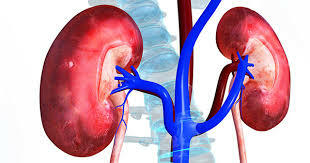 Most of the people are having CKD and they require dialysis but there is no successful therapy for these complications. Olfaction is effects on patients nutrition it is important for the development of novel preventive intervention. Because of this patients loss their interest in food and it has an unpleasant taste. Large scale assessments could recognize how specific abnormalities influence nutritional status. The sense of smell has a higher contribution to the flavors of food and increase food intake in kidney disease patients have focused on the olfaction. Identification of smell and odour test was determined with different type of patients having dialysis and CKD with dialysis and normal healthy persons. Another test analysed the level of an aroma was required for detection by individual participant. Testing the odour identification and got the detection threshold could determine whether abnormalities could be traced to odour processing pathways in the brain or olfactory neurons in the nasal passages. Based on odour identification test 9% of ESKD and 69% of CKD had a considerable reduction in their smell. ESKD patients are having four times greater concentration of aroma than CKD patients. In all the patients nutritional status is detected by a standard assessment of food intake and changes in weight, GI symptoms. Olfactory abilities are correlated with measurement of albumin, cholesterol and protein metabolism. Potential therapy for olfaction deficits, team enrolled dialysis dependent ESKD patients in a pilot study of theophylline this drug is used to treat asthma and emphysema it is used to reduce deficits in patients without KD. Theophylline is administered daily by intranasal for six weeks and check the result every two weeks during the study period. They identified the loss of smell range changed from severe to moderate or moderated to mild. Who had an olfactory deficits reduce the consumption of food and risk factor for malnutrition, so use of nasal therapeutics to better olfaction this is inovative and effective way to stop malnutrition in kidney disease patients.